sought-after locations in the United States? An outstanding coastal location just an hour from Manhattan, several blue-ribbon school districts, an array of shopping venues, an ecclectic mix of architectural styles, abundant leisure and cultural activities, and much more... it is no wonder this is one of the most desirable places to live! 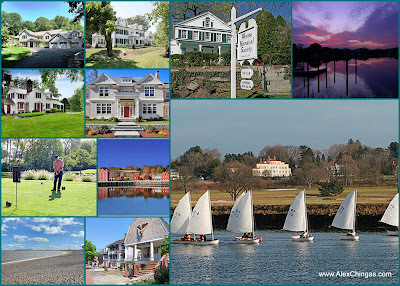 Feel free to email me at alex@alexchingas.com or call (203) 451-0081 if you would like a list of properties that are my "top picks" in any of these communities.